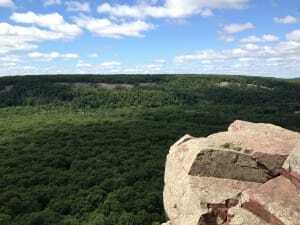 Devil’s Lake – Best hiking in the Midwest? 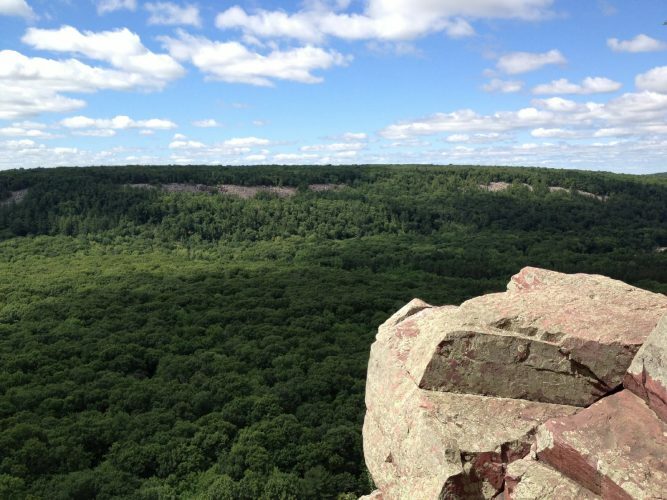 It’s hard to say if Devil’s Lake State Park in Wisconsin has the best hiking in the Midwest, but it’s certainly in the discussion. And if you’re talking about in the Midwest near Chicago, then it’s definitely at the very top of the list. Back in June 2012, I was living out in Chicago and needing to get a some real hiking in before heading out to Humphreys Peak in Arizona. So I made the three hour drive up to Devil’s Lake and hit the trail. East Bluff is a good place to start at Devil’s Lake. the trailhead is fairly close to the park entrance and the trails (East Bluff Trail & East Bluff Woods Trail) take you to a number of good options to continue on. I ended up taking the East Bluff Woods Trail on the way in and the East Bluff Trail on the way out. The Woods trail is, well, more in the woods, while the East Bluff trail gives up a few more views as it traverses closer to the ridge. After about 1.5 miles on the East Bluff Trail winding through dense tree cover, I found myself at one of my favorite areas in the park – the short but sweet Balance Rock Trail. Because the purpose of this hike was mostly for training, I picked out the three nearest, toughest stretches and got to work putting one foot in front of the other. Devil Lakes’ Balanced Rock Trail is less than a half mile in length (one way), but it makes up for it’s lack of length in other ways. The trail is steep and filled with big boulders, making the trail for of a boulder hop than a hike. 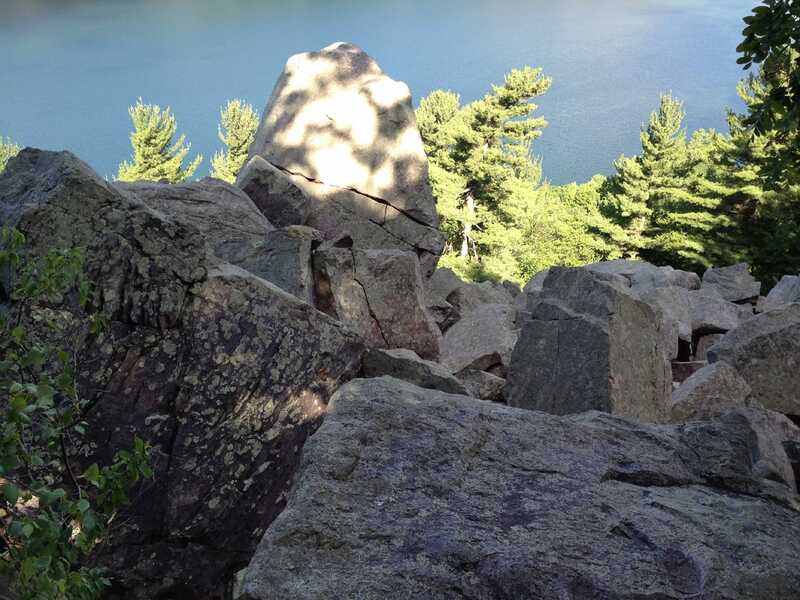 Here, as you descend the south face of the East Bluff, really nice views of the parks namesake lake -Devil’s Lake – greet you at many turns. After descending and then hiking back up, I headed over to nearby CCC Trail. The CCC Trail is Balanced Rock’s counterpart, offering up much of the same terrain as its trail neighbor. The trail is steep and rocky, built with stone steps and offering up more of the sweeping views. This trail is even shorter than Balanced Rock, at just a third of a mile one way. I descended and then ascended CCC Trail before heading over to another nearby steep section, Potholes Trail. Potholes Trail, named after the collection of eroded depressions at its top, is another section filled with stone steps of varying sizes. 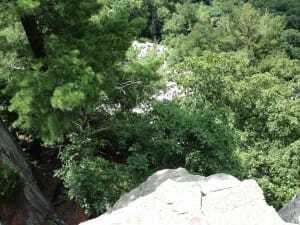 Of the three short trails mentioned here, Potholes comes in last place in the “views” category, but makes up for it with some steep rock climbing faces and nice wooded stretch of trail at the bottom. After checking out the wooded stretch for a bit at the bottom of Potholes, I headed back up and completed the loop by way of the East Bluff Trail. A good day on the trails. Who says you can’t find some good hiking in the Midwest? 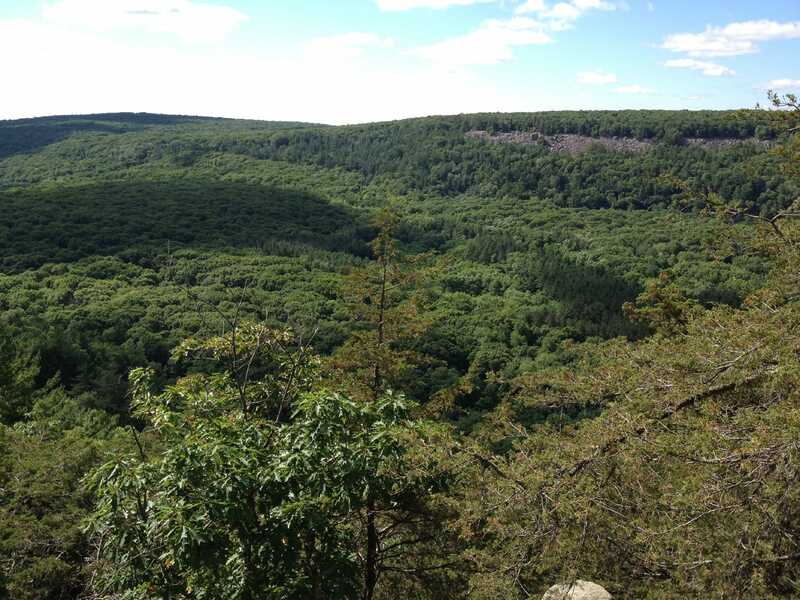 Hiking around Devil’s Lake taking in both the East and West Bluff Trails provides the full Devil’s Lake experience in terms of views. The views from the West Bluff are spectacular, but the East Bluff features both the Devil’s Doorway and Balanced Rock.